Thank you to those of you that participated in our first Three-fer Thursday link up last week! We enjoyed your posts and had a hard time selecting only three to feature! Jenn of The Brandied Pear showed us how to dress casually while still looking put together. 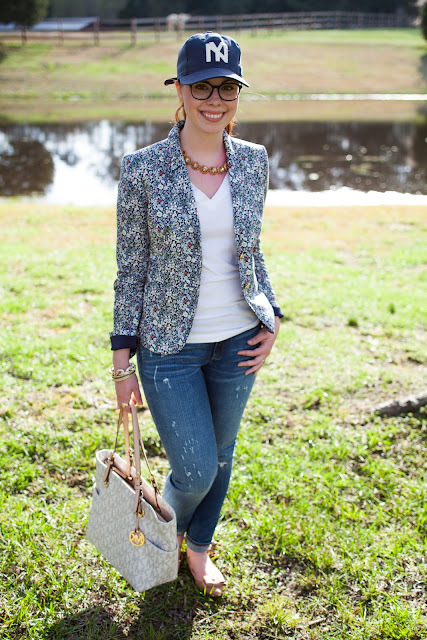 We love her floral blazer! Whitley of Simply Whit in a Sequined Life looks adorable in her nautical skirt paired with mint and pops of coral! Elizabeth of Book of Leisure is rocking candy colors and her Fan Fringe necklace! This week we also have a fabulous co-host joining us for the link up - Libby of Glimpse of Glam! We are both followers of Libby's blog and are thrilled to have her co-hosting with us this week. 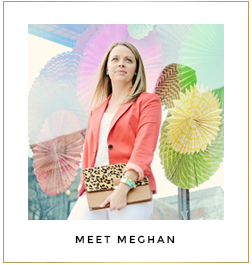 Be sure to check out all the fabulous fashion, recipes and DIY projects on her blog! Your post can be about anything fashion related! Think of it as show and tell for your favorite post that you have worked so hard on! We do ask that you please follow Everyday Fashion and Finance, Perfectly Coutured and our co-host Glimpse of Glam in order to link up. Also, don't forget to post a link back to Three-fer Thursday so that people can come visit! Feel free to use the button below or you can create your own text link if you prefer. Thanks again Meghan! This was such exciting news to get! I really appreciate your kind words. This is so fun! I just linked up. Hi Megan. I found your page last week through Bethany & I love it. As a matter of fact I commented a couple of days ago, also to let you know that I featured one of your looks at my Week's Best Looks feature. Anyway, I linked up with you & Bethany today, so check that out. I would also love your support as I support you back 100% & follow you. Hope for you to follow back. Thanks and Have a Great Weekend!